Requires 8.5" distance between center of tailpiece mounting holes and rear strap button. See image below. Please check size requirements for your guitar before ordering. 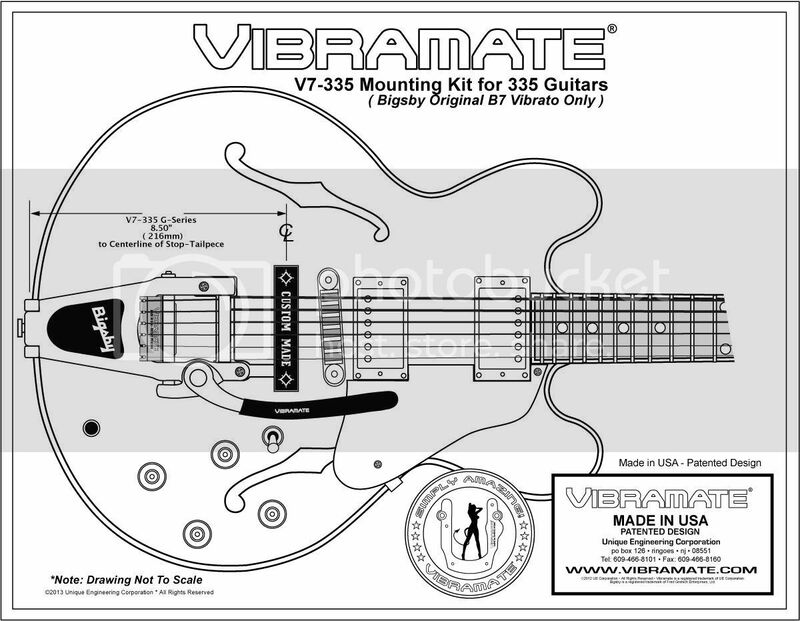 The Vibramate V7-335 G series kit will easily mount a Bigsby B7 Vibrato on many Gibson 335 style guitars. The adapter kit installs in minutes and doesn't require drilling any holes! Please check size requirements for your guitar before ordering. For USA Bigsby B7 only. Will not fit import Bigsby B-70 vibratos. Custom Engraved Truss Rod Cover fits most Gibson guitars Les Paul, SG, and etc.